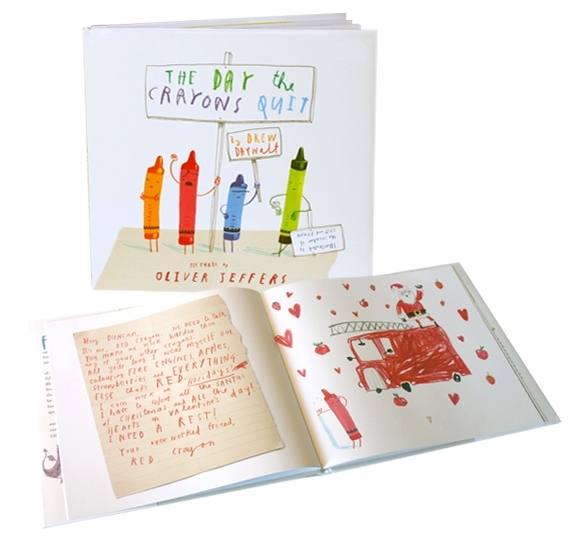 Oliver Jeffers' crayons are coming home! Oliver Jeffers’ crayons are coming home! I think it’s fair to say that I’m not the only person eagerly awaiting more news from the world’s most famous and thoughtful crayons. In fact, kids and parents everywhere are busting to hear whether the red crayon gets work other than on holidays, whether the beige crayon is leading a more exciting life and whether blue has been given a break. If you’re not sure what I’m referring to, let me fill you in. Two years ago the ‘crayons quit’ in Drew Daywalt and Oliver Jeffers brilliant story, The Day the Crayons Quit. Fed up with being stereotyped, each crayon had its own particular gripe and as a result, walked off the job. Fans will be excited to hear that the crayons are back. The sequel to The Day the Crayons Quit is scheduled for release later this year. 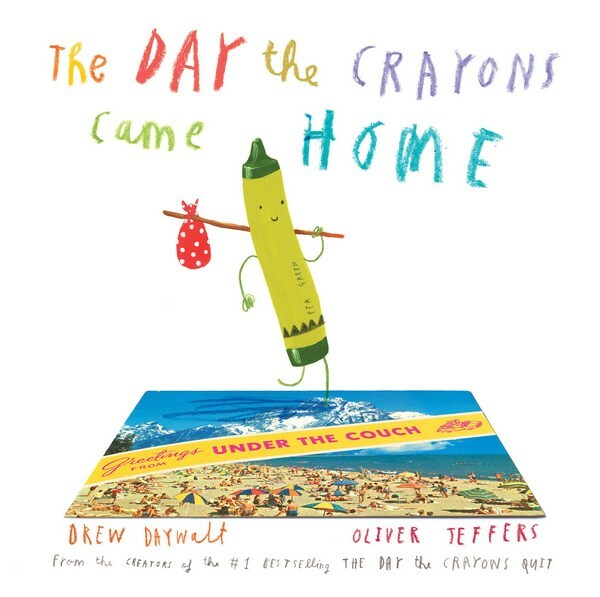 Titled The Day the Crayons Came Home, the second installment from Daywalt and Jeffers promises to be every bit as hilarious as the first. Having soothed the hurt feelings of one group of crayons who threatened to quit, the boy at the centre of the story, Duncan, now faces a whole new group of crayons asking to be rescued. From Maroon Crayon, who was stranded under couch cushions and Burnt Sienna, who was eaten by the dog and then ‘reappeared’ on the living room rug, to Pea Green, who knows darn well that no kid likes peas (he’s considering changing his name to Esteban the Magnificent). Again, each and every crayon has a woeful (funny) tale to tell and we can’t wait to hear them! The Day the Crayons Came Home is due for release in August, 2015. It’s available for pre-order via Book Depository, which delivers free to Australia.